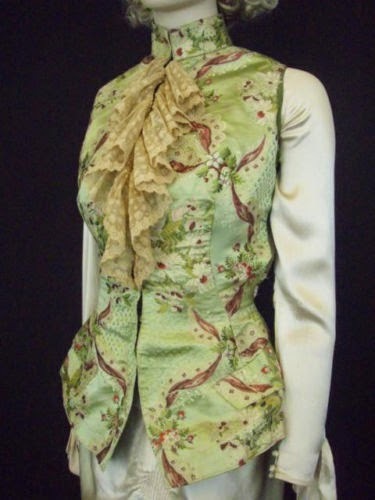 All The Pretty Dresses: 1870's Waistcoat by Charles Worth! 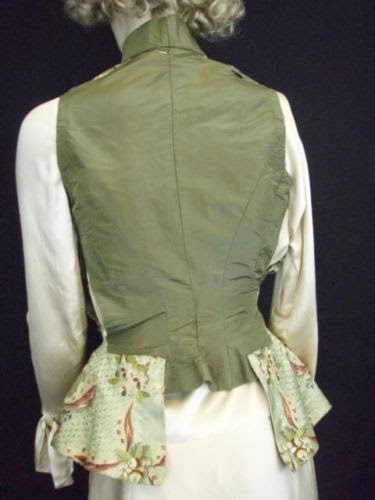 1870's Waistcoat by Charles Worth! 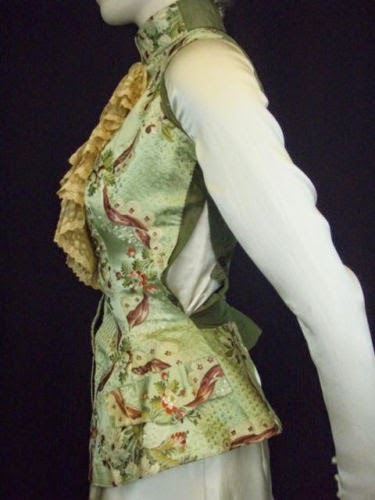 Victorian lady's waistcoat or vest decorated with ornate floral and ribbon brocade. It was custom made by Charles F. Worth circa 1878. 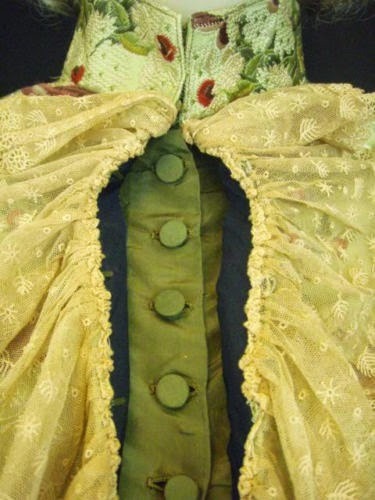 The fabric was originally late 18th century wedding dress material. The base material is a polished green linen. 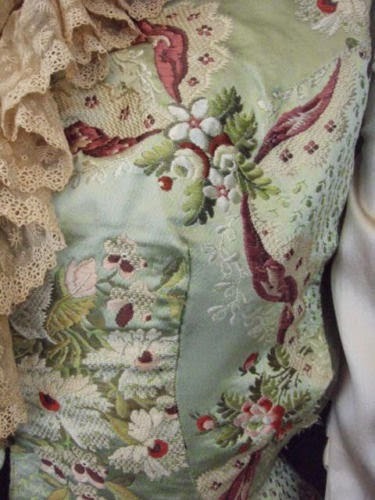 There's a wonderfully detailed ecru lace bib. 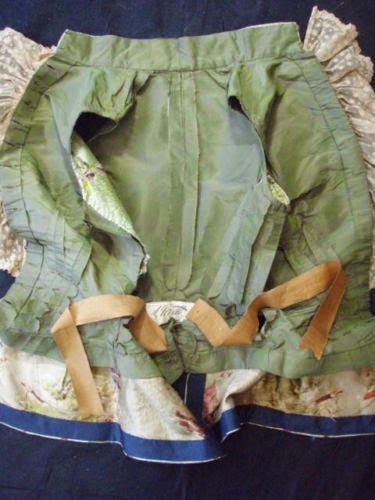 The front fastens with two layers of hook and eyes. From the Rocklin estate in Maine. Mr. Rocklin was a successful and wealthy inventor who held many patents. 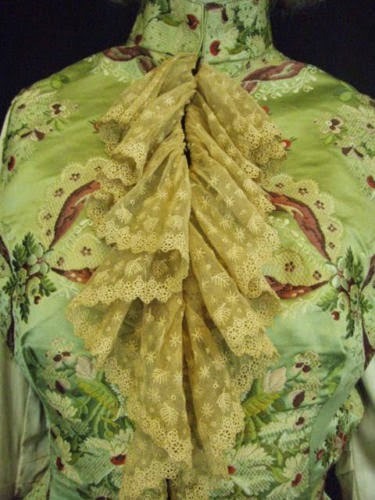 His wife ordered this made from brocade material that was in her family, which in 1878, was already about 100 years old. 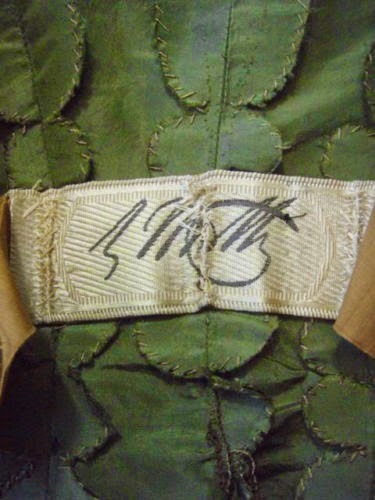 This was a fairly common practice by the wealthy in the late 19th century who could afford couture. The silk is soft and beautiful, and the entire piece is gorgeous. Hello Kitty Pink 1840's Quilted Hood! 1890's Fancy Dress SLEEVES OF AWESOMENESS!!! !